Last Monday was our first day back after our Christmas vacation, and boy, could I TELL! We spent the first couple of days trying to remember what it was we learned before we left! Most of my students are doing quite well. But unfortunately, not all of the children got the reinforcement that I would have liked during this break. Some of the struggling students are in exactly the same place academically as they were when I left them in December, and others are actually worse off than before! Meanwhile, time marches on, so we review and hope for the best as we push forward to teach all of the standards that the children have to master before the next testing period begins again. So here are some things that I have been doing with my kids towards that end! For those of you that are not familiar with this tool, it is more or less just a chart with words on it (or numbers, etc.) that you want your students to practice reading. The idea is that though there may be 25 spaces on the board, you may have only five or six words on it to read, and these words are printed over and over again. 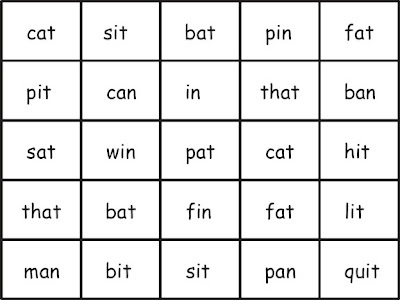 Ideally, you would have the child’s weakest word printed the most times, and the child’s strongest word printed the least amount of times. After school, I prepared an individualized chart for each child in my low group using the guidelines above. 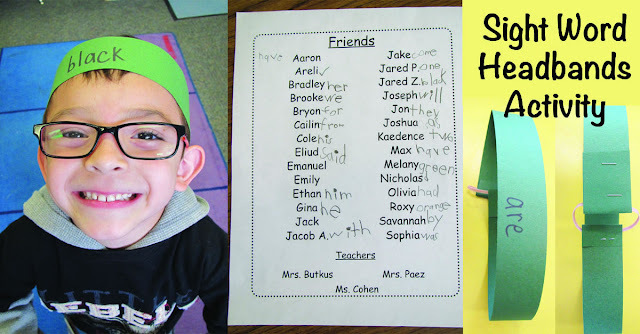 This is how I use them in a small group situation: I passed out the charts to each child, and designated a word to look for and a color that he or she should make it. So, each time a child found the word, “and,” he was to color it red, for example. I got all of the children started doing this on their individualized charts and then stopped one of them to work with me on reading the chart while the others colored. I spent about two minutes with each child, and then went on to the next one. That way, I was able to work with each child individually for a couple of minutes. I feel that this is really a great way to help those little ones that seem to only respond to one-on-one help. It kept the group busy in a meaningful way while I worked with them one at a time. Whenever someone finished finding all of their words, I would quickly tell them to find the next one and assigned it a color. I made this little coloring activity sheet over Christmas vacation and figured that it would come in handy. And it sure did on Monday morning, when we were short one volunteer! The idea here is that the children identify which word family the word belongs to, and then color it accordingly. If it belongs to the “it family,” they color it black, and if it belongs to the “in family” they color it orange. This was still a great puzzle to my struggling learners, but to be fair, most of them really are “fall birthday babies” and are probably not ready to learn these concepts quite yet. (And this probably explains why they are having those difficulties I mentioned previously, as well!) For those of you that are unaware, the current cut-off date for entrance to Kindergarten in California is December 2nd! That means that I have children in my class that might not turn five until December 2 each year, and it is no surprise that these children often have great difficulties grasping concepts such as sounding out words. 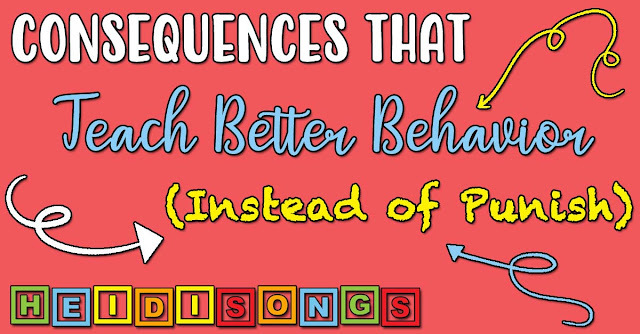 Sight words seem to be not a big problem for them, considering most of these little ones learn well through music, and the Sing and Spell program does wonders for them! It’s the “thinking concepts” rather than the rote memorization concepts that puzzle these sweet little ones. Luckily, the California cut-off date for entrance into Kindergarten is changing starting next fall. They are backing the date up by one month each year for the next three years until it will finally settle on September first in 2014. I am greatly looking forward to having more children that are physically, cognitively, and emotionally ready to begin their formal education on the day they begin school, rather than three and a half months later. Kudos to the California Kindergarten Association for their hard work in pushing this bill through! 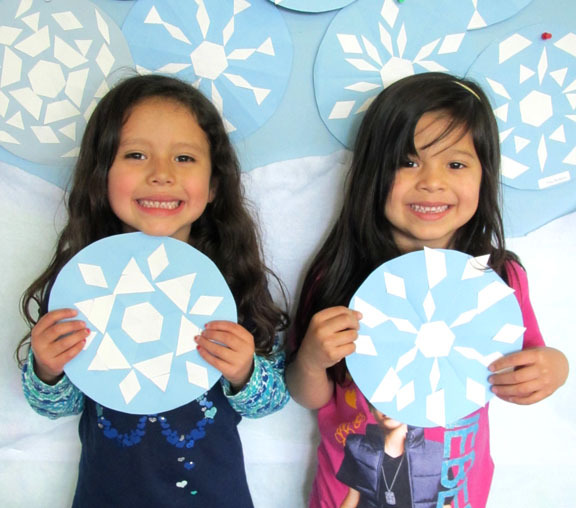 This is a fun project we do for math each year: we make symmetrical snowflakes out of pattern blocks! All you have to do is start with a blue piece of paper cut into an eight inch diameter circle. I have parent volunteers cut them out for me and glue a white hexagon paper pattern block in the middle. Then I have them fold and unfold the circle into sixths so that the kids can see some defined sections in the circle. I also have them cut out a bunch of white paper pattern blocks. If you need the masters to run off the pattern blocks, they are here as another free download! To introduce the topic, I tell the children that something that is symmetrical is something that is the same on all of the sides or parts. So we will be making snowflakes that are the same in each section. I put some baskets of the white paper pattern blocks on the table and then I ask each child to pick one block out and hold it. Then I go to each child and ask him where he or she would like that block to be. The child points to the spot in one section where he wants it glued down, and I then put a dot of glue in that same spot in each of the sections. The key here is that there is only one bottle of glue, and the teacher controls it, placing a dot of glue in each spot that the child identifies. Once the child has laid down pattern blocks on each dot of glue, then I have them pick another block and again tell me where they want it. They continue on this way until the snowflake is finished! It’s fun to make at least some of them double sided and then hang them from strings on the ceiling. 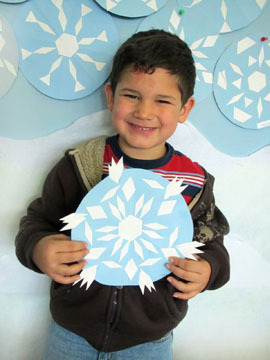 We usually just make snowflakes cut out of paper the usual way for the other side of the snowflake. I often have their book buddies help them with this, since cutting on folded paper can be difficult for little ones. So I posted the rhyme on my HeidiSongs Facebook page, and asked for help! And lo and behold: we, as a “HeidiSongs Facebook team,” brainstormed a cute little rhyme that could go with a snowman themed game, and this is what we came up with! Kudos to Kristin Fuller, who completed the rhyme so beautifully! We all agreed that this was a FABULOUS idea!!!! I LOVE it! So thanks for contributing to the brainstorming session, Kristen! 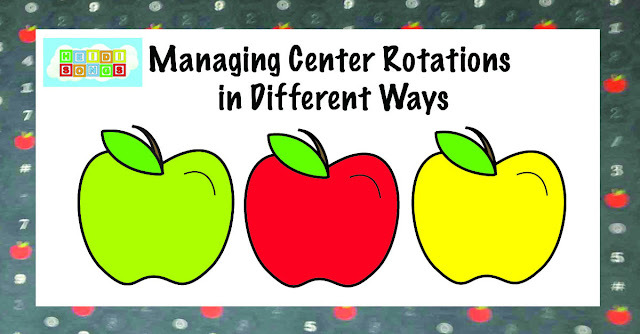 You inspired me to finish up the project and get it out on this week’s blog. I knew that rhyme was a little substandard, but was having trouble fixing it! It’s just lucky that I happened to wake up with a really bad “we just had a huge earthquake” nightmare at 4:00 AM, and decided to get up and create it rather than attempt to sleep for one more hour and then get up again. (Thank goodness it was only a nightmare!) The only thing is that now my snowman picture had to be “hatless,” but that was no big deal. He’s not as cute, but I think we can all deal with that, right? Here’s your free download of the Snowman Game. The only thing is that I felt like my kids are doing pretty well with the sight words because of the Sing and Spell songs, so I decided to make it a word family game instead. There are still blank snowmen at the end, though, so you can make your own cards. I was thinking that you could play memory with them, too! Just have them match one word family card to the same word family card! Example: hat and mat would match, because they are both from the “at” family. There are even numbers of each word family card, and I included words from the -at, -an, -it, -in, -ip, and -ig word families, since this is what I am working on now and in the coming weeks. Thank yo!u I downloaded to the penguin sheet and the snowman game. Thank you!! I love the penguins!! Glad you guys like those penguins!!! I did, too. 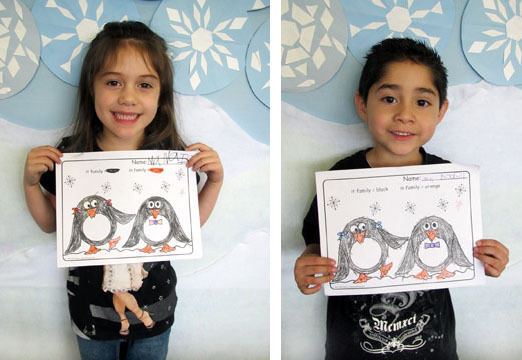 Next week, I'll include a guided drawing project with penguins, too. Thank you just doesn't seem like enough. I look forward to your blog each time!! My only disappointment...your aren't on the east coast!!! 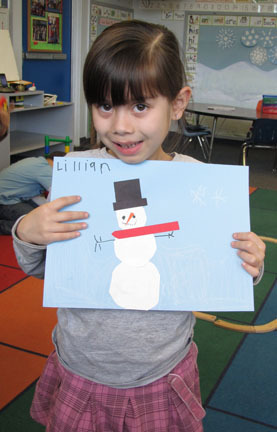 I am going to play the snowman game in the pocket chart - it can also be used as a literacy center that way. I just wanted to thank you for your blog and all the "goodies" you create and share. I especially love the pictures you share of your adorable little ones. My firsties love our Sing and Spell and we will be purchasing another DVD soon. Thank you! 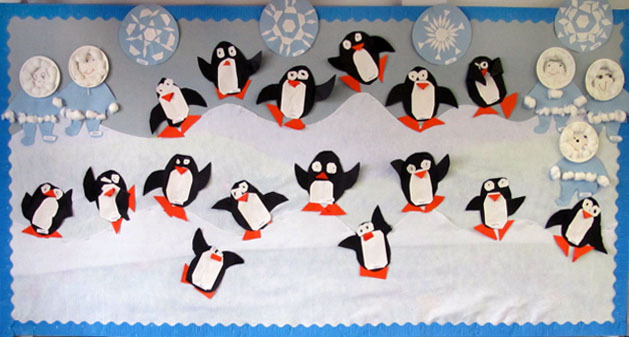 We start studying penguins next week and the guided drawing will be perfect. I can't wait! You know, if you write or call SDE (Staff Development for Educators) and request that they bring me out to one of the conferences in your area, it might just happen! They have flown me to Indiana and Ohio so far. They are bringing me to Minnesota in June, too. I'll be in Orlando in May at my own expense at the International Reading Association convention, and I'm doing a 2 hours and 45 minute workshop there. I certainly WISH they would bring me over to the east coast (all the way over!) They do respond to people's requests, I hear. If you look at my HeidiSongs Facebook page, you can see what the Penguins pictures look like, because I already posted a picture there. If you need to do it earlier than I get to posting the blog, then at least you will have the picture. It was a pretty easy one to do. Heidi - I so look forward to your blog each week. You keep me energized and excited about teaching. Love the Snowman game. That is just what I needed! My kinders absolutely LOVE the sight word songs. They can't wait for a new one each week. Thank you for all that you do. Heidi, is there anyway you could post a blank RAN chart - I tried to open the link and I can not at home, maybe at school, but I would like to make some this weekend! Thanks for all you do, you inspire all of us. I can post a blank RAN chart, but you wouldn't be able to type in it unless you own the same word processing program that I do. My husband says, though, that he has Word on his new PC, and maybe we can post a blank one as a .doc file. I'm sorry to hear that your son is having a hard year! If you will email me, I can "talk" to you about what might be best for your son. If he responds to it, you might want to give his teacher a gift of a DVD for the class. If she uses it, it could make life easier for your son! Thanks Heidi for all the wonderful things you do for us. My kids love your games and songs. I am so glad I have found your blog thanks to your sweet daughter. Your blog is NOT too long. I think we all love it. Thanks for your nice comments! It helps to hear it! My kids were definitely not all back on track early this week either. Isn't it great that my school decided we needed to administer DIBELS this week? Really accurate results right? I can't believe California still has the cut off in Dec, yikes! In MA we've had September since I was in kindergarten, and probably before. It's going to make a huge difference I'm sure... but now of course I notice all the summer birthday kids haha. Thanks for the snowman and sight word games! Heidi, I just want to thank you for your generous spirit and ideas that you share. I just wanted to say...that for some reason...the RAN page linked in my e-mail just plain old froze on my computer. Not sure why that happened? For Kindergartners, I would start with the Kindergarten starter kit. That has just about everything in it that you would need, and it is a pretty good deal, I think. Check the "Specials and Combos" page. But I'm glad that it hasn't happened before, I'll keep my fingers crossed that it doesn't happen again!